Preparations for Shakespeare In Action’s Hamlet are continuing so I’m here to continue the blog’s Hamlet theme. Out of total curiosity I googled “the first Hamlet Shakespeare” on google images and I found something interesting so I thought I’d share it: an old photograph of a 19th century actor who many theatre historians consider to be the greatest American actor and greatest Hamlet of the 19th century. The following is a photograph of him in his Hamlet costume. His name’s Edwin Booth. 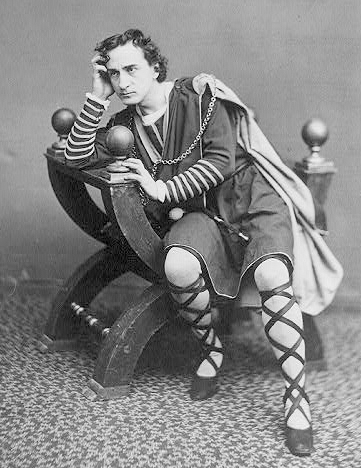 Fun fact about Edwin Booth: in the 18th century he toured America and the major capitals of Europe performing Shakespeare plays. Hamlet runs from December 2-6, 2013 at Central Commerce Collegiate in Toronto. Tickets are available now!